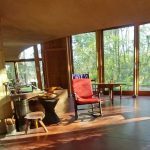 Clifton Van Brunt Lewis, who asked Frank Lloyd Wright if he would design a home for her family, died in February, 2014. This non-profit she created, Spring House Institute, will continue to work towards her and her husband George’s vision for their home: that this extraordinary, significant piece of art, architecture and culture be restored to nurture humanity, nature, and the arts, for the benefit of the public as a teaching institute, and for other good public and private uses for generations to come. 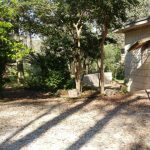 Spring House Institute, Inc. was established to acquire, restore and complete Spring House, the only private residence in Florida designed by America’s greatest architect, Frank Lloyd Wright, and built in his lifetime. 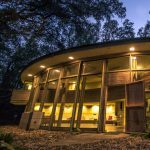 The Mission of Spring House Institute is to acquire, restore and complete the Frank Lloyd Wright-designed Spring House; to preserve its original architecture as a single-family dwelling for the benefit of the public as a teaching institute; and to foster the arts, environmental stewardship, social justice, and world peace. Spring House will be used for a broad spectrum of classes, workshops, seminars, brief housing for visiting dignitaries, several overnight and weekend rentals, weddings, community meetings, and gatherings of all kinds. It will also be the home of Spring House Institute, a teaching facility. Your support will help this extraordinary, significant piece of art & architecture be put to beneficial public use. Spring House Institute was established in 1996 and designated as a 501(c)(3) tax-exempt not-for-profit organization in 2007.